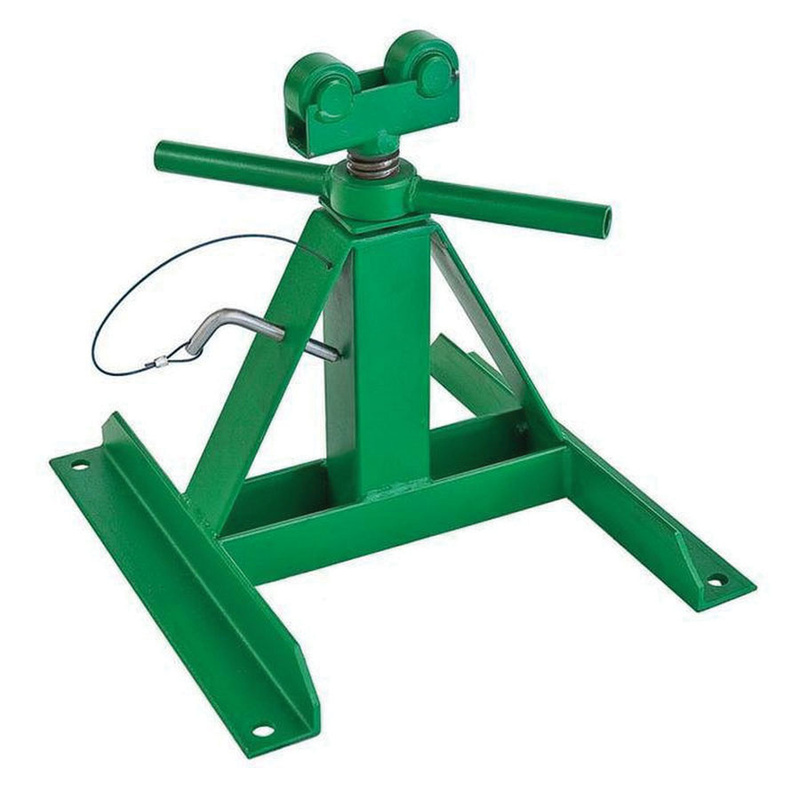 Greenlee Screw telescoping reel stand in green color, has steel base construction for added strength and durability. This stand withstands load up to 2500 lbs. It has roller bearings that fit in the spindle groove for secure positioning of spindle and turn freely. The stand supports reel with diameter ranging from 28 to 56-inches.